Over 300,000 customers are without power as of 5:00 PM CDT across the Florida Panhandle, with Bay and Leon counties being the hardest hit on the power grid. Bay Medical Sacred Heart Hospital sustained damage as windows have been blown out, damage to the roof, and cracking of an exterior wall. Generators are up and running and patients have been moved to safe areas of the hospital. 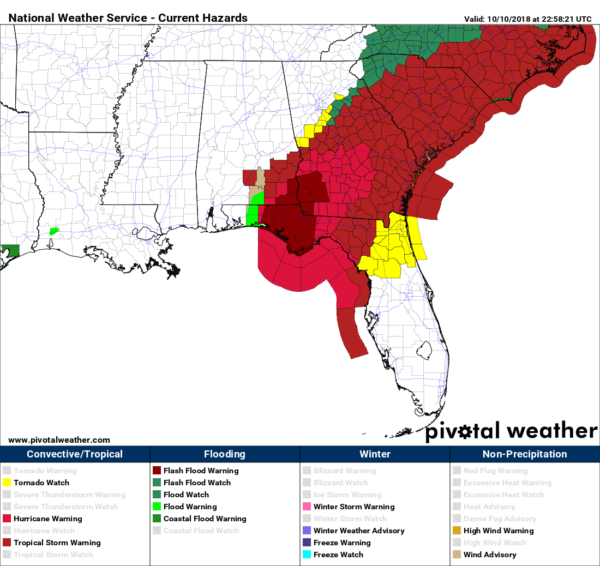 This is the latest map of watches and warnings as of 6:15 PM CDT. 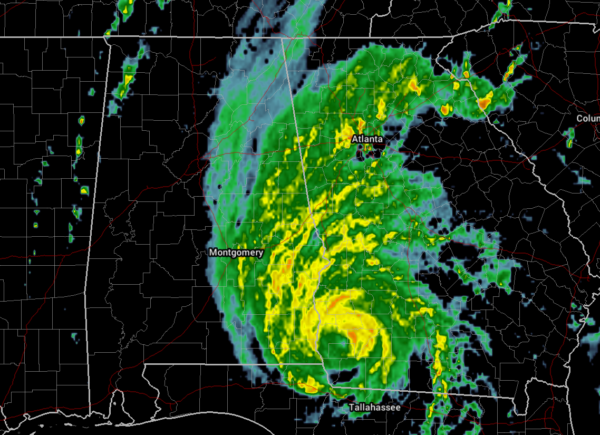 Hurricane Michael will continue to move north northeast across southwest Georgia and later to the northeast across Georgia tonight into Thursday. As it does so, there remains a potential for marginal tropical storm force winds across the far southeast counties of Central Alabama. Currently, most of the impacts are expected to be along and south of Interstate 85 through tonight. This is where rainfall amounts of 2 to 5 inches, with locally higher amounts, and wind gusts of 30 to 50 mph appear possible.